CIMB Bank is the consumer banking arm of CIMB Group, Malaysia's second largest financial services provider and ASEAN's leading universal banking group, offering consumer banking, investment banking, Islamic banking, asset management and insurance products and services. 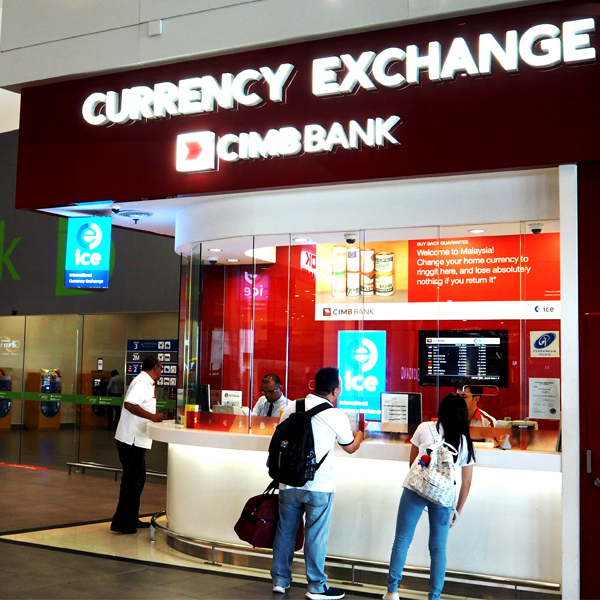 CIMB Bank has a Bureau de Change (BDC) located in KLIA2. Partnering with International Currency Exchange (ICE), our BDC serves as a one-stop center for all your foreign exchange needs and more.